Please enter the initials or name you want (including full stops, if required). Maximum 9 capital letters including spaces. No special characters. Thank you! 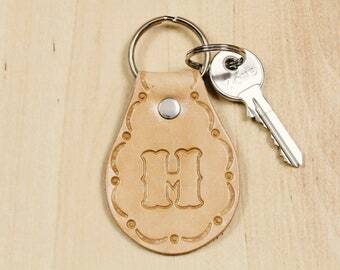 Looking for a beautiful but practical personalized gift? A distinctive personalized leather comb case has character and can become a treasured keepsake which lasts for decades to come. 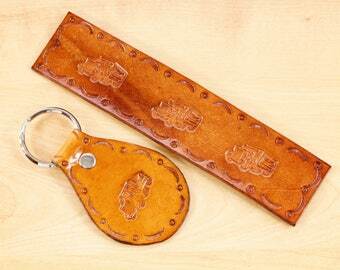 These leather comb cases can be made especially for you, your family and friends! 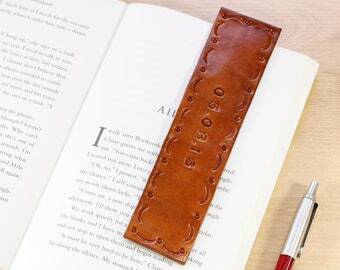 Custom order a personalized leather comb case and your chosen name or initial will be hand stamped onto the premium quality leather. 1. 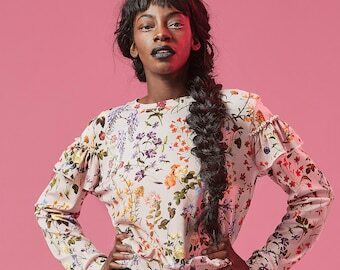 "Tina was amazing, she made everything so personal and went out of her way to make sure you knew the what, where and when of what was happening and then as a bonus on top of that she just does great work which looks amazing in photos but even better in person, keep doing what your doing Tina because your doing it right!" 2. "Tina was fantastic from start to finish with this order. Very prompt with replies, helpful and lovely to chat with. The comb case itself was a gift and It went down a treat. Excellent quality, just what I expected. I would highly recommend :)"
3. 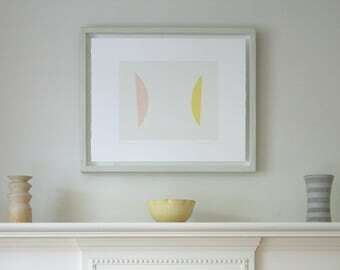 "Such a gorgeous, well made item. Absolutely cannot wait to give it to my dad for Christmas. Highly recommended!" 4. "This comb sheath is great! 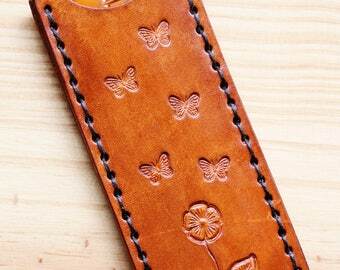 The leather is beautiful and the comb fits perfectly. My husband is impossible to shop for, but I have no doubt he is going to adore this personalized comb case for years to come. :)"
5. 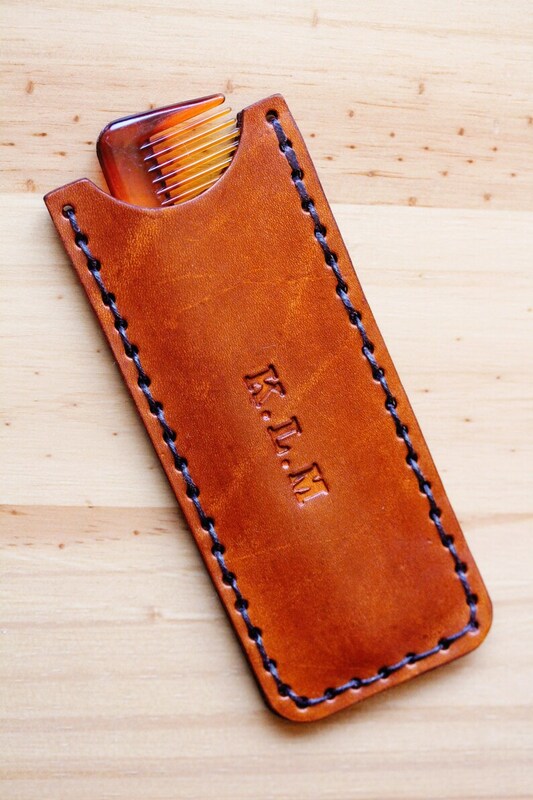 "This case and comb together made the perfect gift, and the quality and craftsmanship were superb. 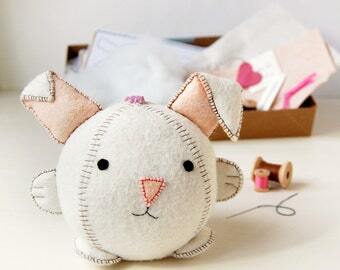 Tina was so sweet and attentive throughout the process, and her creations are just beautiful!" 6. "Great service and follow up. 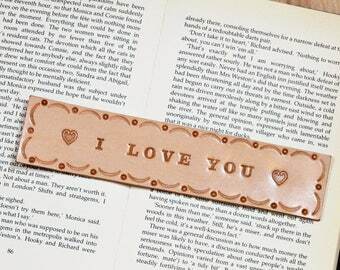 TinasLeather has a passion for their products. Would absolutely order again"! 7. 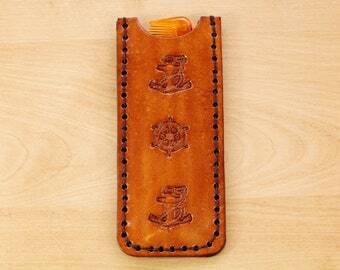 "I'm delighted with this personalised comb case which is a gift for my husband's special birthday. Tina kept me informed about the exact details of the case as she made it and it arrived beautifully wrapped very quickly-thank you! Gillian". 8. "Such a beautiful gift. My husband loved it (3rd anniversary gift). High quality leather and the comb was nice too. Tina was lovely to work with and had great communication. I would highly recommend this item". There is also the option of a premium Finest Quality Handmade Kent Comb (as shown in photo 4). The Kent tortoiseshell effect combs are handmade and saw cut so they are gentle and non-scratch on hair and scalps. These magnificent combs are also finely hand polished to prevent split ends and to glide smoothly through your hair. The Kent company has been making comb and brushes for over 2 centuries (since 1777). Kent say "their total dedication to product quality handed down from generation to generation guarantees that you have bought the World's Finest". Kent also have the Royal Warrant (given to small companies who display skill in producing products for the Royal Household) which was first granted to them by George III and they have been granted warrants continuously by 9 monarchs to the present day. 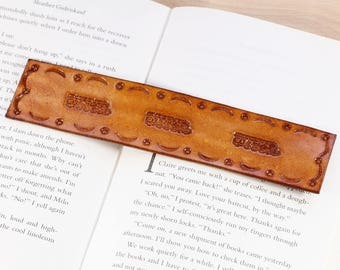 The leather comb case would make a unique, practical but meaningful wedding day gift or anniversary gift. Just leave your desired name or initials in the personalisation box. Names are limited to 9 letters (including spaces) consisting of US/UK alphabet capital letters (no special symbols). 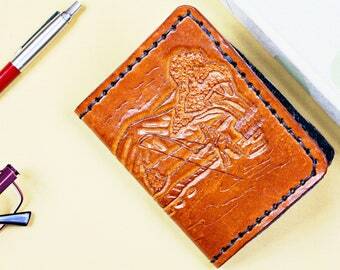 Lovely feel of high quality leather with its timeless style and enduring beauty. 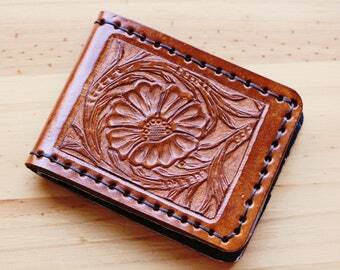 Old world craftsmanship as the leather is cut by hand and the holes punched individually - one at a time!! 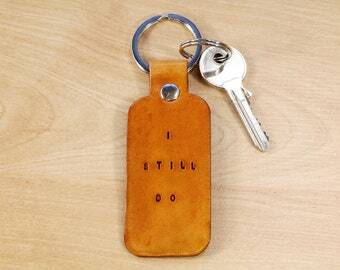 The premium quality leather is also hand-stamped, hand-dyed, hand-sewn and hand-burnished. Length approximately 5 & 1/8 inches (13 cm). Width approximately 2 & 1/8 inches (5.5 cm). 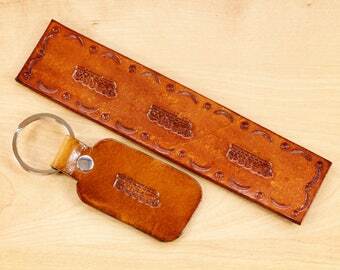 The case fits a 5" (12.5 cm) long x 1 & 1/8" (3 cm) wide comb. Could also be used for small glass or metal nail files or other small items. If the premium handmade Kent comb is chosen the case will be approximately 0.5" shorter (2 cm) in length. 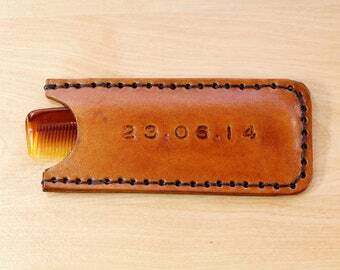 I'm delighted with this personalised comb case which is a gift for my husband's special birthday. Tina kept me informed about the exact details of the case as she made it and it arrived beautifully wrapped very quickly-thank you! Great service and follow up. 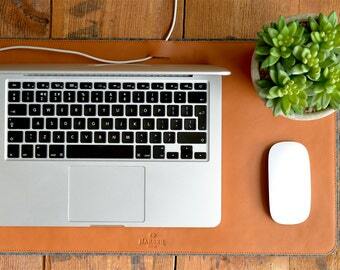 TinasLeather has a passion for their products. Would absolutely order again! 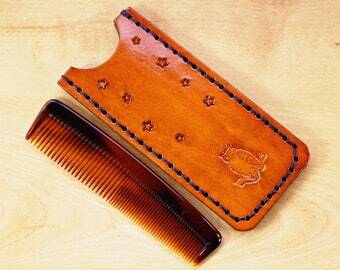 This case and comb together made the perfect gift, and the quality and craftsmanship were superb. Tina was so sweet and attentive throughout the process, and her creations are just beautiful!